It wasn’t a classic Clayton Kershaw game, and Andre Ethier came through — even if it wasn’t in his “Captain Clutch” fashion — but the Dodgers still pulled out a 5-4 win against the Angels on Tuesday night. 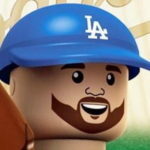 Ethier came in the ninth inning with runners on the corner and one out. He hit a weak chopper to David Freese at third base. Freese made a great attempt by bare-handing the ball, but Chris Iannetta — who hit a 2-run double off Kershaw early in the game — couldn’t hold onto the throw. Juan Uribe scored, but would have been out without the drop. Speaking of Uribe, he got the Dodgers on the board with a 3-run home run after Kershaw allowed two early runs. It was a 447-foot blast to the pavilion in left field. JAZZ HANDS! It’s fun we can be “disappointed” by a Kershaw performance like this, but here we are: 7 IP, 7 H, 3 R, 3 ER, 2 BB, 7 K, 8/0 GO/AO. We really shouldn’t be surprised, but it’s amazing how much importance all managers place on saves. In the top of the eighth inning, Brian Wilson was brought into pitch to Mike Trout, Albert Pujols and Josh Hamilton. He got Trout to fly out, but went 3-2 on Pujols before throwing a lifeless 91 MPH fastball down the middle. Pujols deposited it into the Dodgers’ bullpen. Now, there’s no saying Kenley Jansen, who struck out the side on 11 pitches, wouldn’t have suffered the same fate, but the Dodgers’ chance of success is much greater with Jansen facing that trio than Wilson, who has struggled to be anything close to good the entire season. This isn’t an indictment on Don Mattingly (OK, maybe a little), but the save statistic in general. Oh, and Joaquin Benoit would have looked pretty good facing Trout-Pujols-Hamilton in the eighth, but the asking price must have been, inexplicably, too high. The Padres are a mess. But I digress. One more detour before the highly anticipated conclusion, courtesy of The Conman. The Dodgers (64-50) travel down I-5 (I know SoCal folks call it The 5) to Anaheim continue the Freeway Series (or start a new one? Who knows) against the Angels (67-45). Dan Haren (8-9, 4.76 ERA) takes on Matt Shoemaker (9-3, 4.09). First pitch is scheduled for 7:05 p.m. AHT. Oh, and the Eastern time zone can pound sand (sorry Mike and Daniel). The Dodgers were nice enough to sweep the Giants the weekend I got married. Maybe they can deliver a win on my birthday. With Haren going, I’m not holding my breath.